I am having a heck of a time coming back into real life again. It is hard for me to accept that Christmas is over. Don't worry it happens to me every year and with a little time, and a lot of chocolate, I will get over it. But, I wanted to remind everyone to start saving up those glass jam jars and ketchup bottles so you can make these beauties! So Trey, Lucy, and I came up with these little numbers! 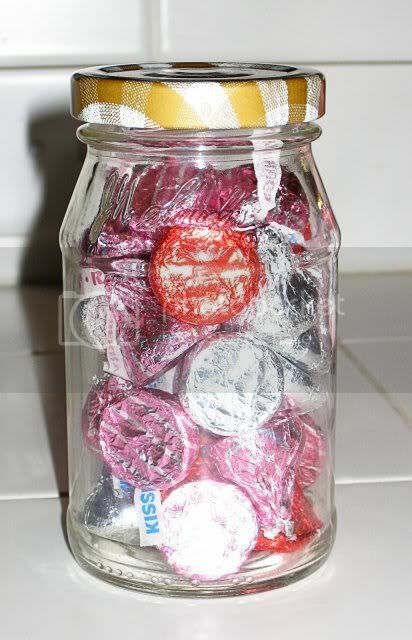 They are kiss jars. They will make great Valentines for our friend and family. 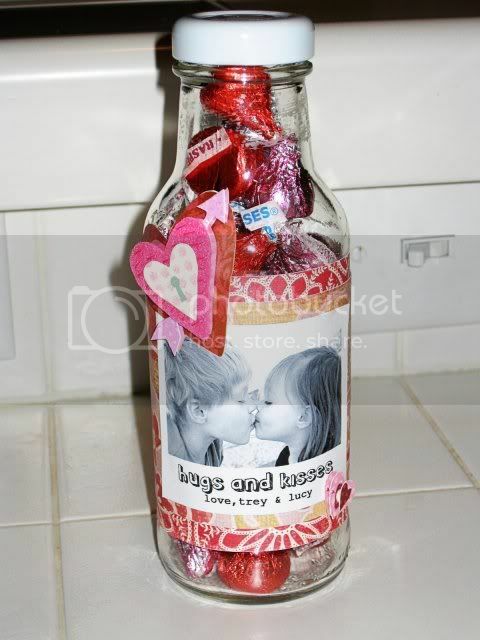 We just took old glass jars and added Hershey Hugs & Kisses. Then we decorated the outside with scrap booking paper and pre-made stickers. The kids filled it with bears (teddy grahams) and hugs (Hershey's hugs). Lucy & Trey are so creative! I love to see what they come up with. They did these two jars with very little help! Treys is on the right. I love the heart pattern he came up with! 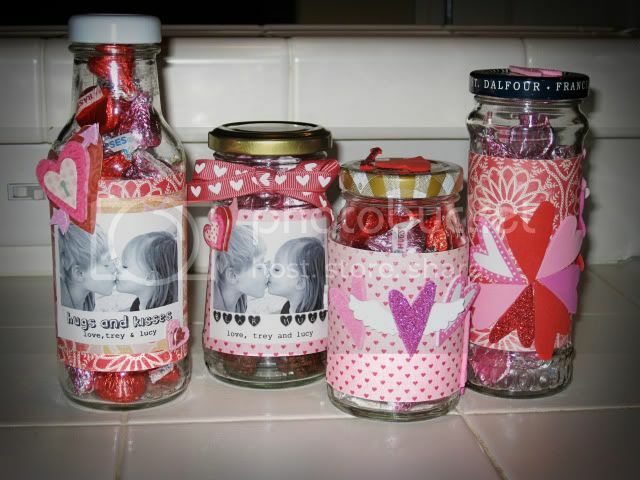 Now go...grab those glass jars out of your recycling bin and make some Valentines! 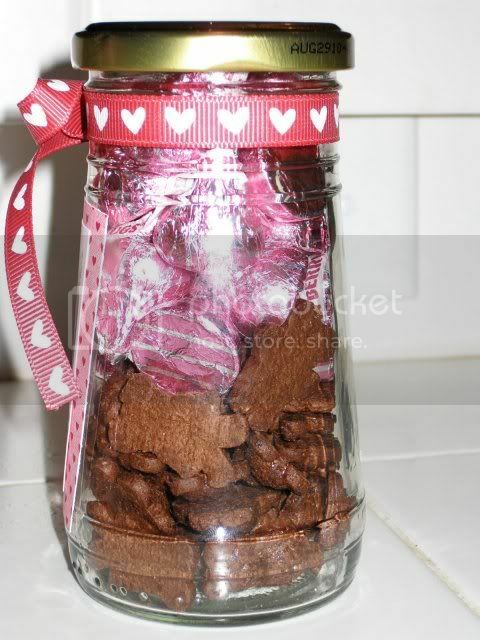 I had my activity day girls make those bear hug jars of yours for their dads for father's day. They loved them! I love all your ideas Tanya! 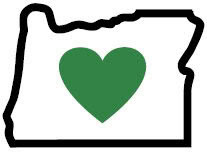 wish we lived closer! Oh man - I JUST threw some jars away. Thankfully I have a month more to. Thanks for the reminder idea! Awww. That is super cute! I loved these from last year! Thanks for the reminder! I am going to start collecting our jars. OMG, I LOVE this! I've made it one of my New Year's resolutions this year to repurpose things and to become a little greener, so I just saved a nice sized Folgers instant coffee jar, with a red lid that would be perfect for this! I love it, thanks so much for sharing! cute! i especially love the pic of trey and lucy kissing...when do you think it will start grossing them out that you've spread that throughout the whole neighborhood and blogging world? 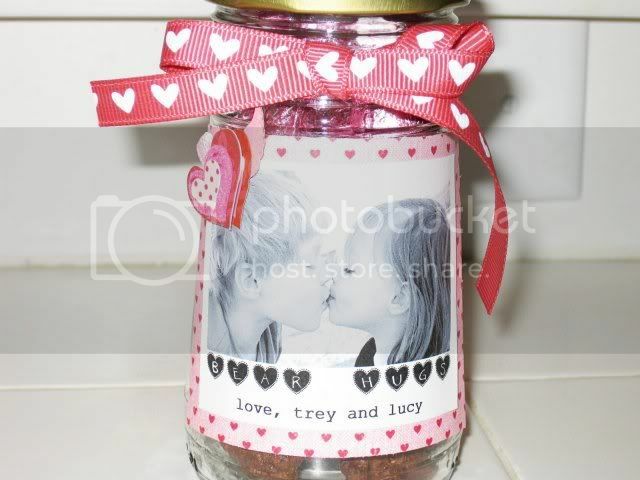 LOVE the picture of Trey and Lucy! SOO cute! Such a cute idea. I love this. Thanks for sharing! Just had to tell you that I LOVE the headband tutorial! I've had so many compliments and you were right! It was easy! You made it so easy to do. I've also made your rose post earrings and the towel dress and have had SO many people tell me how cute both are. LOVE your blog!! These are darling - i love Valentines Day! i came across your blog a little while ago and love it! you have such cute ideas! i actually have a blog devoted only to holiday ideas. its called So Festive at festiveholidays.blogspot.com. 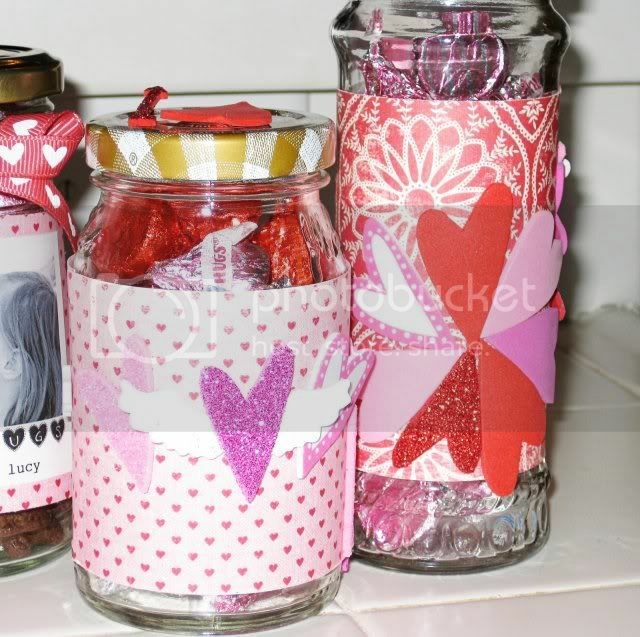 I was wondering if you would like to do a guest post on it or if I could post your cute Valentine Jar idea. I am hoping that it will be become a one-stop place for great traditions and ideas for all holidays! What is better than a project that involves Kisses? My kids are 12 and 17 and they would love to make these even at thier ages. I've thrown away so many of these jars the past few weeks too,darn! Thanks for the idea!I'm going to run to Michaels at lunch so we can get started on these! What cute gifts! So cute! What kind of adhesive did you use to attach the paper to the glass? We just used a glue sticks and they worked great! Love this ideal, would be great for my Grands on Valentines Day. Thanks for sharing. These are too cute! I think the kids and I will make some for Grammy and Papa and Daddy! I may even have my first graders at school make them for their parents! Stopped over from the Tip Junkie and I am adding you to my favorites *grin*! visiting from tip junkie. LOVE this idea and not just for Valentine's day. We don't go through jars very often but now will not recycle the ones we do have. 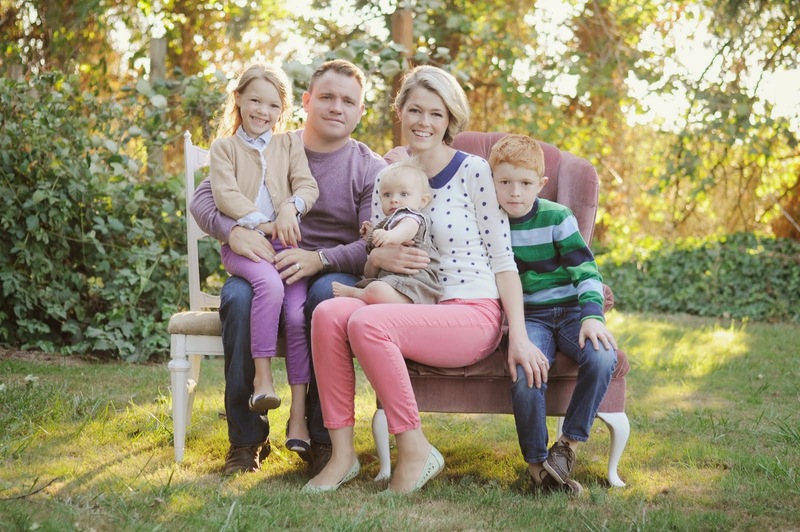 BTW your kiddos are adorable! I am seriously IN LOVE with this idea!! It is so so creative! Super cheap and easy too! I just posted it on my blog over at myyellowsandbox.blogspot.com, I'd love if you'd come take a look and follow! Heading to my recycle bin now!! Hi, Bath Bomb Creations is a new follower! I found you on google images as was searching for jam jar decorating ideas for our bath bombs! Love the decoration!